Captiva Spine, Inc., which designs, manufactures and distributes elegant and intuitive spine device solutions, announces the first surgeries using the company’s proprietary TransFasten™ Posterior SI Fusion System; the addition of a new posterior cervical system – HyperLOX™. Captiva Spine’s thoughtful solutions for the entire spinal column will be on display at the AAOS (American Academy of Orthopaedic Surgeons) Annual Meeting March 7-9, 2018 in New Orleans at booth 4213. The first cases using the company’s proprietary TransFasten Posterior SI Fusion System were successfully completed across the USA starting in December 2017. TransFasten’s use of a favorable posterior approach will potentially reduce operative time and neurovascular complications. 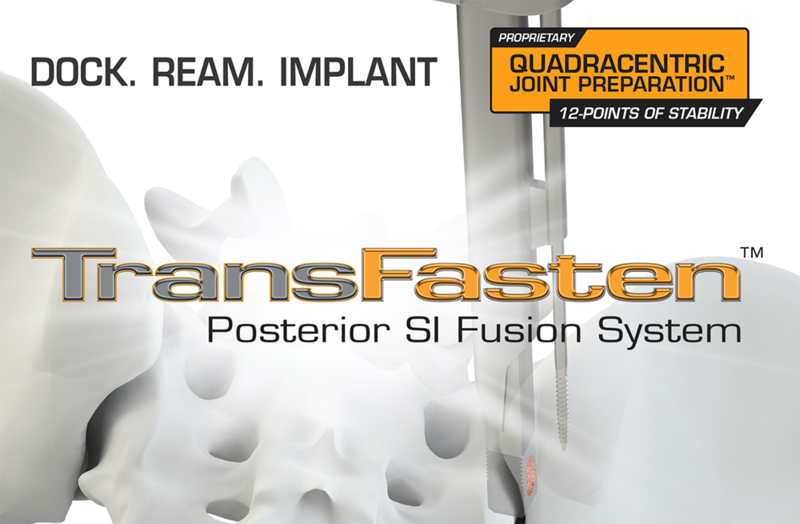 With proprietary QuadraCentric joint preparation, TransFasten provides multiple implant contact points for biomechanical stability during fusion. An initial TransFasten surgeon, Dr. Pedro Ramirez, M.D. of Central Florida Neurosurgery Institute, stated “the intuitive TransFasten instrumentation allows me to place the implant accurately, utilizing a safe posterior approach while obtaining a true biologic fusion of the sacroiliac joint.” Over the past several years there has been a resurgence in the recognition of the SI Joint as a potential source of low back pain as treatment options for SI Joint dysfunction have advanced. Captiva Spine is committed to launch devices that align clinical and economic outcomes on behalf of all key stakeholders. 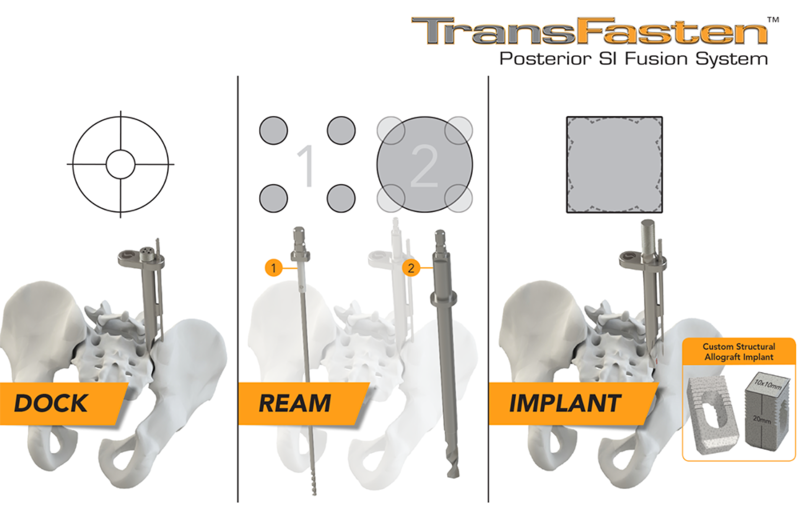 TransFasten is on a track for completion of its alpha launch, and Captiva Spine will be training additional surgeons on this posterior SI approach nationwide as early as the end of March 2018. The commercial launch of the HyperLOX Posterior Cervical System provides Captiva Spine a comprehensive solution for posterior stabilization and fusion of the cervical and thoracic spine. HyperLOX can be constructed into a multitude of configurations based on individual patient anatomy. Offering exceptional versatility and ease-of-use, HyperLOX features a wide range of hyper-angulating top loading polyaxial screws, hooks (straight, angled, and offset), offset connectors, multiple rod-to-rod connector configurations, cross connectors, and transitional rods. Inquiries from tenured professionals looking to partner with a company to build a relationship for the long run are always welcome. Captiva Spine can be contacted direct by phone at 561-277-9480 or via their website www.captivaspine.com/contact-us. Discover Strength Through Connections at www.captivaspine.com. Captiva Spine is a privately owned medical device organization founded in 2007. Captiva Spine supports spine surgeons, tenured spine distributors, and healthcare facilities in providing patients with progressive spinal care and an obsessive focus on quality; they strive to create and maintain sincere, honest, collaborative relationships. By valuing their relationships, above all else, fosters the mutual trust and openness needed for Captiva Spine to be a conduit of high quality, smart, elegant, and intuitive patient solutions. Captiva Spine operates as a family of industry professionals that take pride in delivering these solutions responsibly and ethically while never losing sight of what they refer to as the Human Factor: Finding the joy in their daily lives and serving the needs of their customers with sincere, professional enthusiasm. This Press Release can be found at PRWeb.com and is also featured on OrthoSpineNews.com, ORTHOWORLD, and Becker’s Spine. For distribution information, please fill out the form below.